The Bobcats pulled out a strong victory in their quarterfinal match against Amherst, winning the no. 1 and 5-9 positions. Graham Bonnell ‘20 won the no. 1 spot with a decisive 3-0 victory (11-7, 11-7, 11-5). Benni McComish ‘20 and Team Captain McLeod Abbott ‘19 each similarly won a quick three games at the no. 7 and 8 spots, earning two points for Bates. Team Captain Coley Cannon ‘19 and Dylan Muldoon ‘21 won at the no. 6 and 9 spots 3-1. Garon Rothenberg ‘20 won a close match 3-2, with a final game of 11-9. In the next matchup, Bates went up against Trinity, losing a hard but expected 8-1. In this game, Bates was able to snag the win in the no. 3 position with a strong performance by Omar Attia ‘21, winning 3-1 (13-11, 9-11, 11-9, 14-12). Finally, in competition for the third place finish, Bates fell to Middlebury in a tight 5-4 finish. Middlebury took the lead in the beginning of the game, winning the first two matches. Bates followed this with two wins of their own, leading to what was destined to be a nail-biting series of games. Middlebury pulled ahead 4-2 at the end of the sixth match, where they eventually cinched their win in the second to last match. Bates picked up easy victories in the no. 1, 2 and 8 positions from Bonnell, Mahmoud Yousry ‘20 and Abbott who each won 3-0. Attia was able to earn a narrow win in the no. 3 spot 3-2 with a final game of 13-11. “When we play a quality team like Middlebury we really lean on the talent at the top of our ladder and they certainly delivered,” Abbott said. 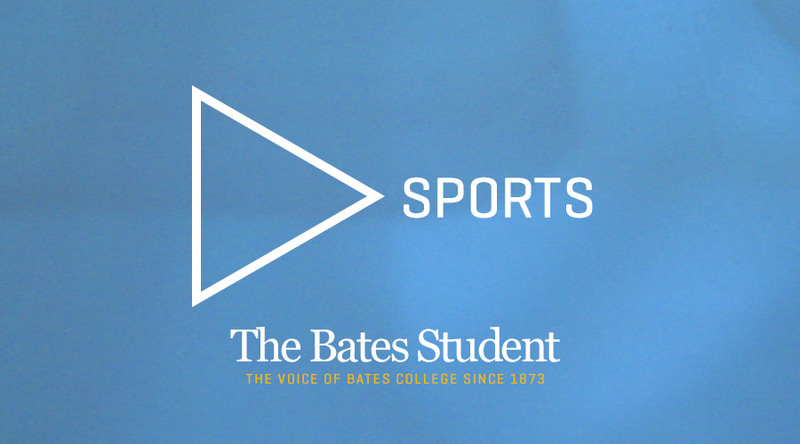 Bates previously lost 8-1 against Middlebury earlier in the season; thus, even though Bates lost the third place spot to Middlebury, a closer game in itself is a small victory for Bates, showing their progress throughout the season. This is the first time in four years that Bates has not made it to the NESCAC finals. The National Team Championships take place this weekend at Yale University where they look forward to rematches against Brown, Williams and Middlebury in competition for the Summers Cup. At best, the team can place 17th in the country, as they are in the “C” bracket, and at worst, 24th. No matter the outcome, the Men’s Squash team has once again put forth the kind of passion and determination that any college team would be envious of. Look out for them in online live streamed matches this weekend! It is hard not to notice some of the changes in the sports medicine department at Bates this year: new faces, new techniques and an explosion of activity evident to all who pass by the trainer’s room in Merrill.